Professor Nickolaos Travlos joined the University of Surrey in September 2016 as Professor of Finance and Accounting. Prior to the University of Surrey he was at ALBA Graduate Business School (1992-2016) holding the Kitty Kyriacopoulos Chair in Finance and serving as its first Dean (1998-2016). He has also taught at Boston College, City University of New York (Baruch College), New York University (L. Stern School of Business) and University of Piraeus (1990-1998), where he served as Chairman of the Department of Banking and Financial Management (1993-1997) and Director (founder) of the MSc in Banking and Financial Management (1997-1998). Moreover, he held the position of Distinguished Senior Research Fellow at Cardiff Business School (U.K.), 1998-2007. Professor Travlos’ research has been published in leading academic journals such as the Journal of Finance (10 papers), Journal of Accounting Research and the Journal of Financial and Quantitative Analysis. In 2008 Professor Travlos was recognized as one of the “most contributing” authors in the Journal of Finance (JF), “the gold standard in academic finance literature”, over its six decades of existence. In addition, his published article “Corporate Takeovers Bids, Methods of Payment and Bidding Firms’ Stock Returns” (The Journal of Finance, 1987) was included in 1994 in the list of the twenty most influential published papers in Finance. 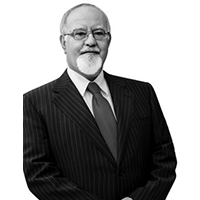 He is a finance consultant and has served on the Board of Directors of several national and international firms. He was a member of the Board of the Hellenic Capital Market Commission and of the Hellenic Competition Commission. He served as Chairman of the Board of the Athens International Airport and vice-chairman of the Board of International Transparency – Hellas. Professor Travlos holds a Ph.D. and an MBA from New York University and a Ptyhion in Economics from the University of Athens.